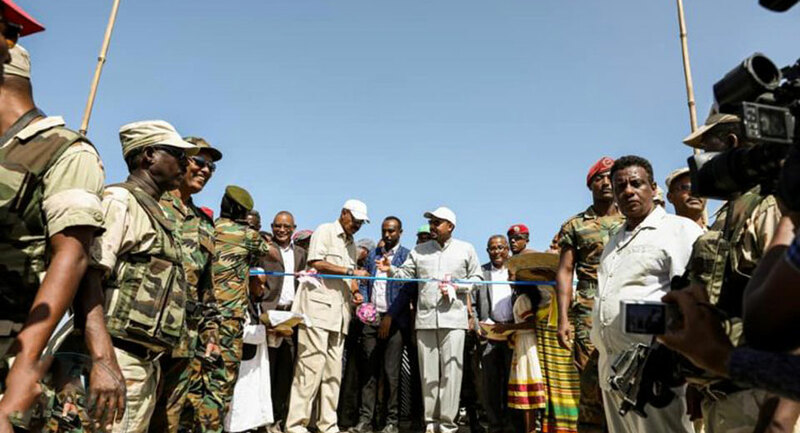 President Isaias Afwerki and Prime Minister Abiy Ahmed officially opened today, 7 January 2019, the Omhajer- Humera border points connecting the two countries. The event was attended by Minister of Foreign Affairs, Mr. Osman Saleh, Presidential Adviser, Mr. Yemane Gebreab, Commandor of the Western Front, Brig. Gen. Tekle Kiflai on the Eritrean side . the Ethiopian side Dr. Debretsion Gebremicael, President of the Tigray region, Mr. Gedu Endargachew, President of the Amhara region and Gen. Seare Mekonnen, Chief of Staff of the Ethiopian Armed Forces.